Usually, when people go through an online course, the course typically relates to their existing career. For instance, many accountants often go through several accounting courses online. This is because upgrading oneself has become increasingly important in these days. The competition for jobs has become more intense. As a result, many candidates often end up vying for the same job. In this scenario, the erstwhile practice of gaining experience and seniority to become a serious contender for senior positions has become redundant. This is not because companies do not value experience and seniority any longer. Rather, with several candidates to choose from, companies and organisations prefer selecting candidates who possess several strings to their bows. Online courses help individuals enhance their qualifications, thereby boosting their chances of receiving promotions or lateral movements at the workplace. At the same time, because these courses are available online, people no longer need to absent themselves from work. Many careers and vocations typically involve large investments of time, effort and money. For instance, if you’re keen on setting up your own business, you will need to acquire the relevant certifications. Thereafter, you will need to invest capital for setting up and managing your business. Similarly, if you’re keen on a career in accountancy, you will need to spend a considerable amount of time in acquiring the required certifications and accreditations. Only then will any accountancy firm even consider interviewing you. Then, you will need to build up your portfolio with years of experience. Thereafter, you might eventually get the opportunity of setting up your own firm. However, a career in real estate does not conform to these standards. To be successful in this sector, you will need to have a good grasp on the concepts associated with the sector and its present trends. These traits will help you build a satisfying career. It is worth noting that you don’t need a lot of money to invest either. You could consider running your office from home. Or, you could even consider operating from a small space in the commercial facility nearby. Thereafter, you could help several clients purchase that dream home they’d always wanted. Alternatively, you could help your clients invest their money in second homes too. Usually, people with a Certificate III in Property Services end up working as property officers or stock & station salespersons. Similarly, people possessing a Certificate IV in Property Services usually end up working as real estate agents in their states. What Does a Career as a Real Estate Professional Typically Involve? To be a successful real estate professional, you do not need to possess a list of skills either. At the outset, you will need to possess superlative communication skills. In addition, you will need to back your communication skills with a profound knowledge of property and tenancy law. One of the best factors associated with the real estate sector is the fact that you can acquire the required qualifications very easily. All you need to do is to complete the relevant real estate courses online. Following this, you will need to clear the exams for receiving your licence. Once you have your licence, you could commence working as a professional in the sector. As a real estate agent, you will be handling real estate sales. These sales can be very complex and intricate affairs. Therefore, you will need to have a solid understanding of the market. In addition, you will need to possess immense knowledge about the technical aspect of real estate. What Value Do Real Estate Licence Courses Online Really Offer? If you’re keen on a career as a real estate professional, you will need to know the ins and outs of buying real estate. An online courses gives you all the knowledge you need to possess as a real estate agent. It will show you what you need to look for in a property. It will give you insights into the services that you need to be aware of e.g. structural property inspections prior to purchasing property etc. These courses will also help you understand prevailing market trends in the industry. 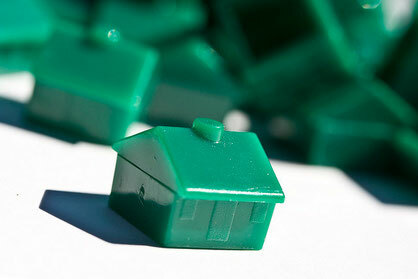 As a result, you will be able to advise and guide property owners and buyers. Investing in real estate involves knowing exactly what you want to accomplish. This is especially so when you’re selling a property or purchasing one for investment purposes. Real estate courses provide the information you require about this aspect. In addition, you will also come across several tips that could offer several benefits. Are You Looking for a Top Notch Provider of Real Estate Courses in Sydney? Whether you’re looking for courses in real estate or retail management, you need the best content and a reliable training service provider. At the Australian Salesmasters Training Company, we select a team of accredited facilitators. Each of these is an expert in a specific domain with years of experience. Our team of experts delivers innovative products and services to all our clients. They deliver modules based on various specialised skills and techniques that they possess. Therefore, consider only the best for all your business-training needs in Australia. Give us a call at 02 9700 9333 to learn more about the training programs we offer. My coder is trying to convince me to move to .net from PHP. I have always disliked the idea because of the costs. But he's tryiong none the less. I've been using WordPress on a number of websites for about a year and am worried about switching to another platform. I have heard excellent things about blogengine.net. Is there a way I can import all my wordpress posts into it? Any kind of help would be really appreciated!